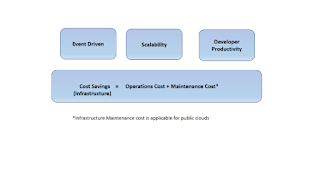 In this post, I'm going to write about an application based on Microservices Architecture, which I presented in the Cloud Foundry Meetup. The application is a miniature LinkedIn kind of application, which was built to demonstrate the key aspects of a Cloud Native application. The app allows users to build their profile with experience details, their skills, certifications. The app allows the users to connect with other users and they can endorse skills and also recommend other users. 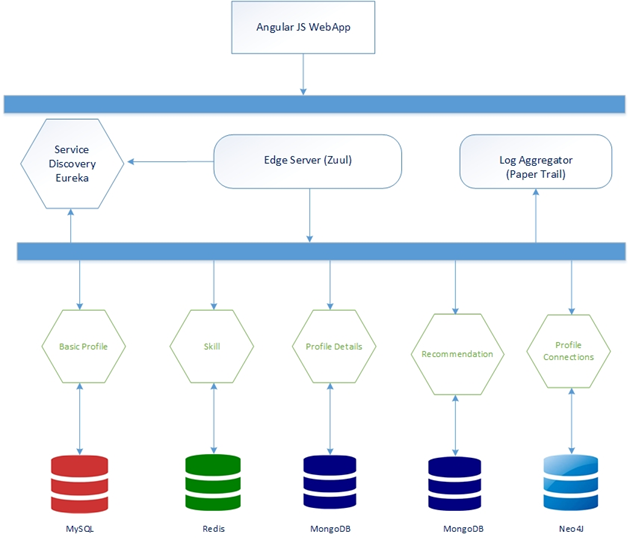 The application uses Microservices Architecture, which consists of loosely coupled, independently evolvable/deployable services. It uses polyglot persistence. i.e, each service uses the right database which fits the use case. Flavors of Nosql and Sql is used in this application. In addition to the microservices which implement functional features, the following Cloud Native application features are also implemented. Profile-Basic: This service would allow CRUD of a User Profile, like name, email etc. Since the data is well defined, we used a RDBMS (Mysql) for this. Profile-Details: This service would allow CRUD of a Experience details/Certification Details of a user. Since the data is largely huge texts without restricted by a schema, we used a Document store (MongoDB) for this. Discovery-Server: This service would act a discovery service and would allow all other microservices to register to and discover each other. (including multiple instances of each service). This microservice is implemented by using the Netflix Eureka library. 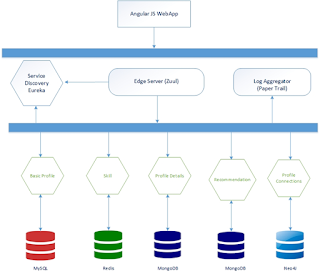 Profile-web: This is an angular application, which consists of the actual client side implementation of the application.